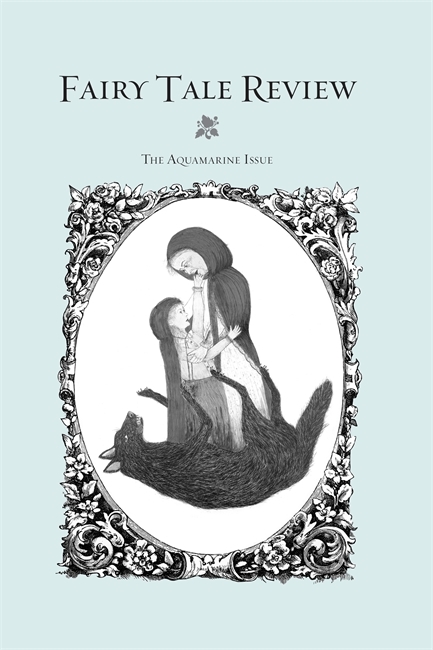 The Aquamarine Issue is the fifth anniversary issue of Fairy Tale Review, and is appropriately its most oceanic, its most aesthetically diverse, issue to date. Despite this diversity the fairy tale pulse or "feel" is present in each piece in The Aquamarine Issue. What also contains this issue and holds it within the salt palace of tiny sea horses is how the narratives and poems, taken together in here, can be seen to contribute not only to the very important living body of contemporary fairy tales—so nascent and now—but also to the conversation about what constitutes "a fairy tale," that monumental type of art.